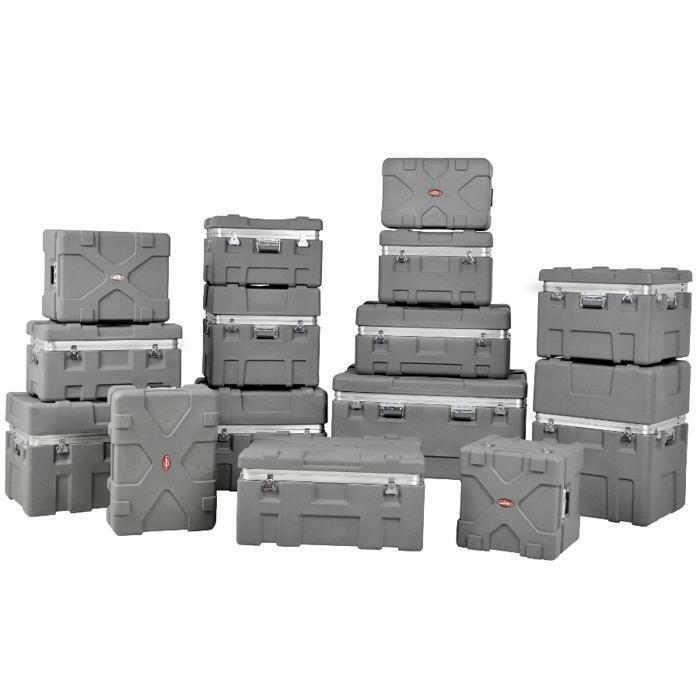 LxWxD: 24.00" x 24.00" x 24.00"
LxWxD: 23.00" x 18.00" x 16.00"
LxWxD: 24.00" x 20.00" x 13.50"
LxWxD: 27.00" x 27.00" x 13.25"
Rotationally molded shipping containers with the Roto X pattern that stack securely for efficient transport and storage. 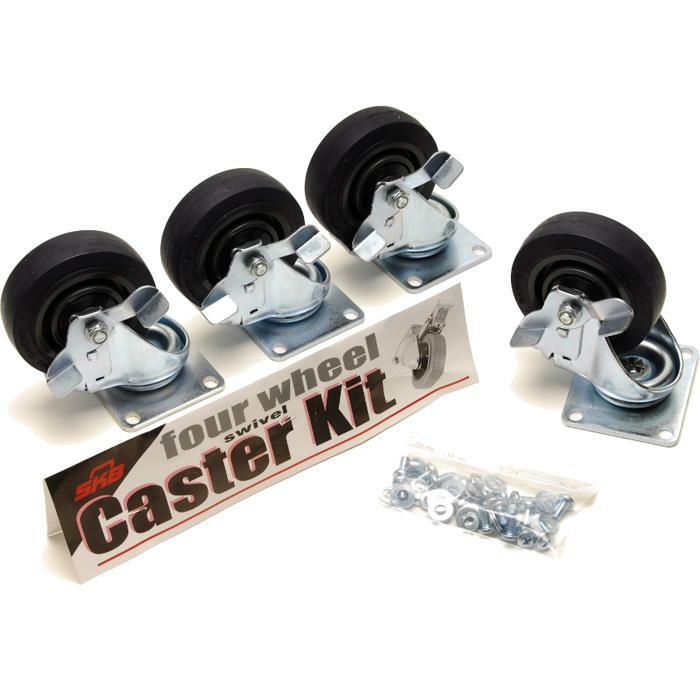 Optional heavy-duty wheels for maximum mobility. 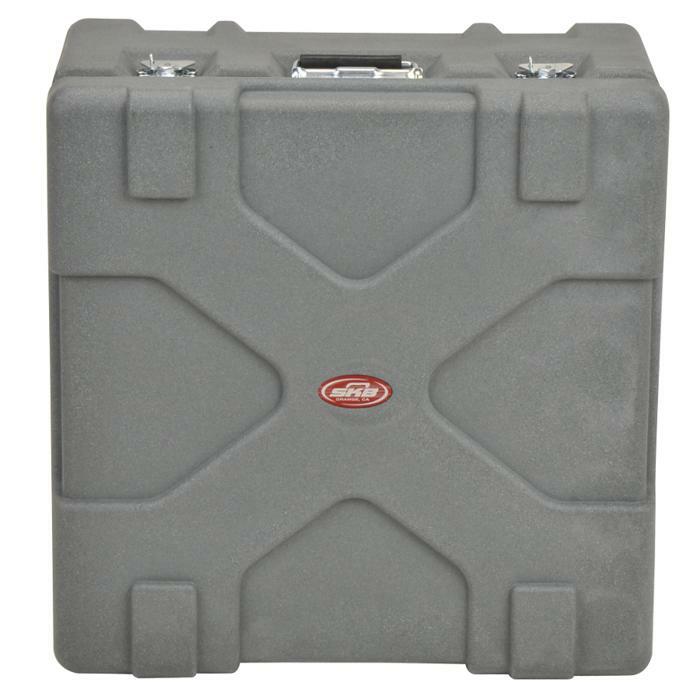 Recessed, heavy-duty twist latches will accommodate a customer supplied padlock. 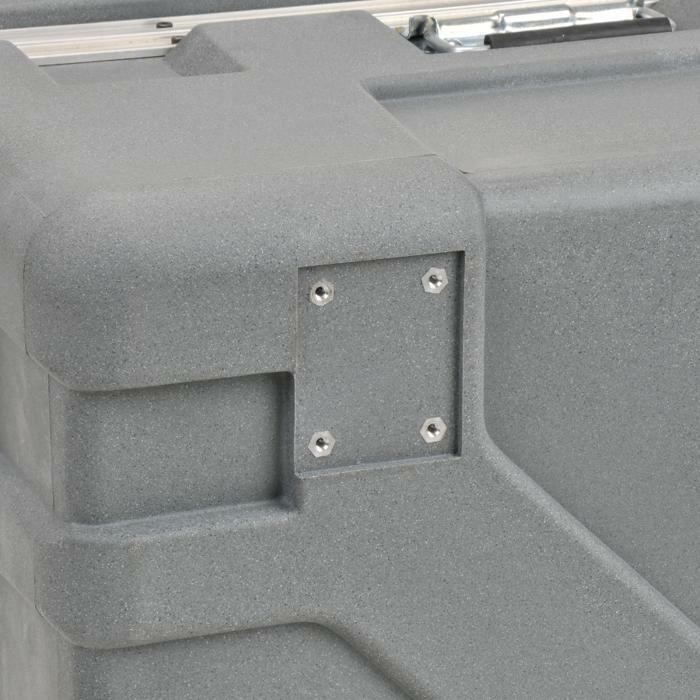 Spring-loaded handles are also recessed for protection. 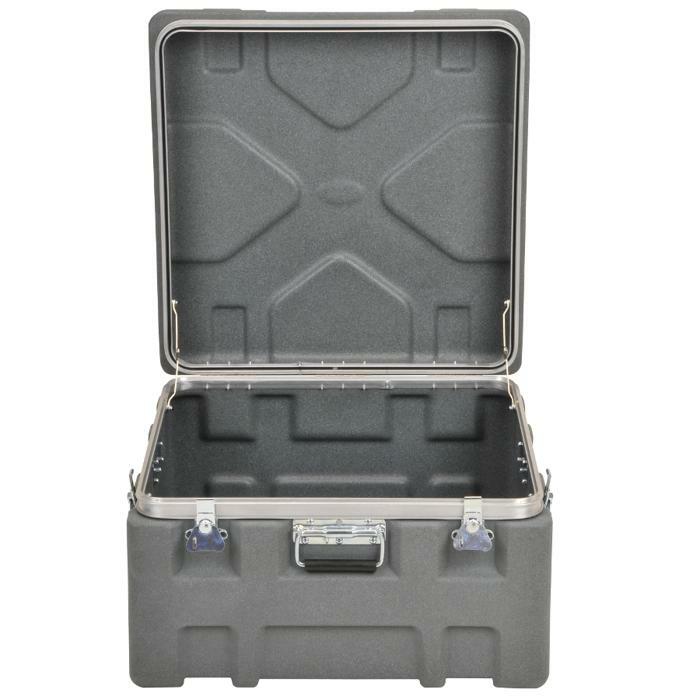 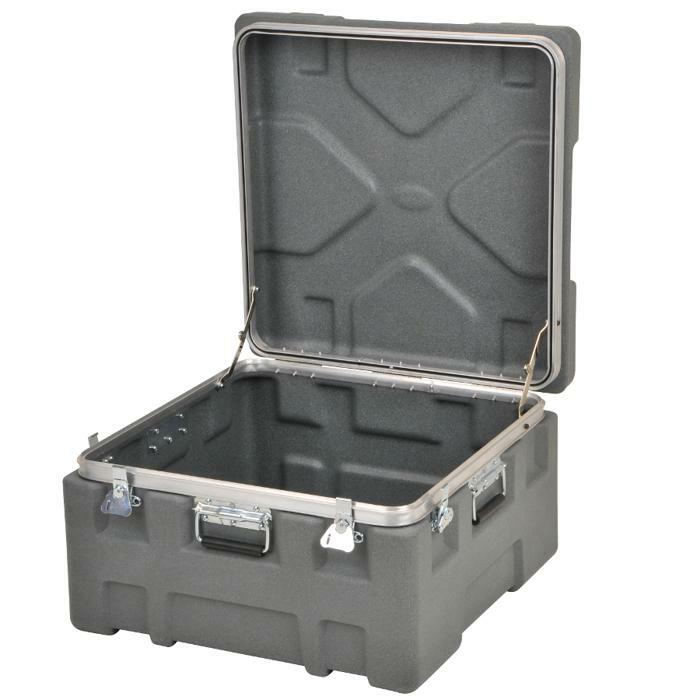 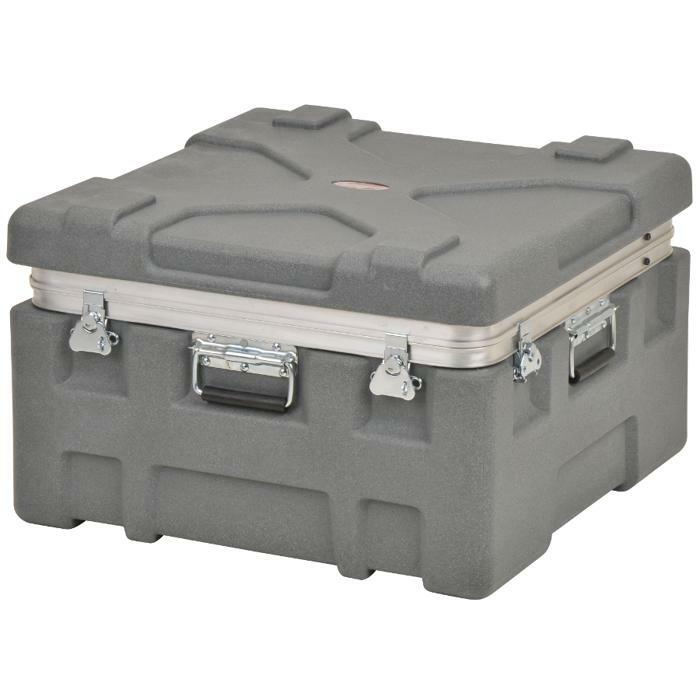 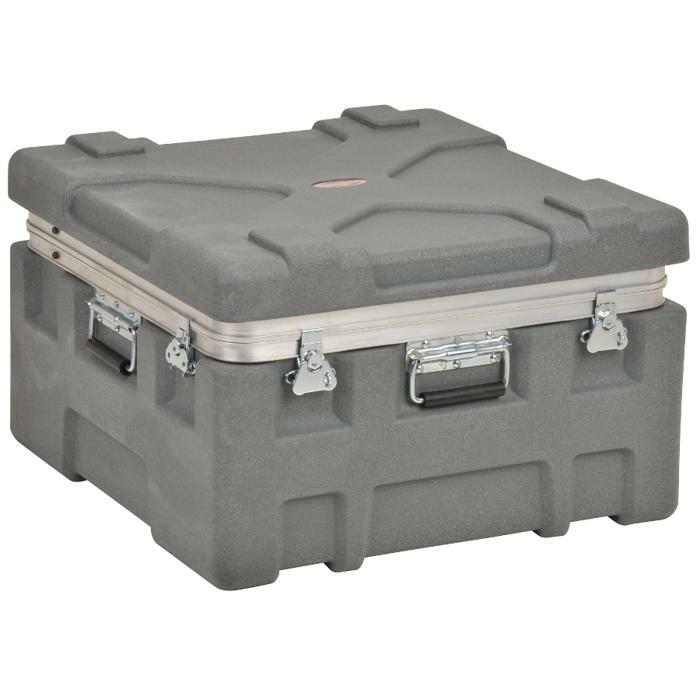 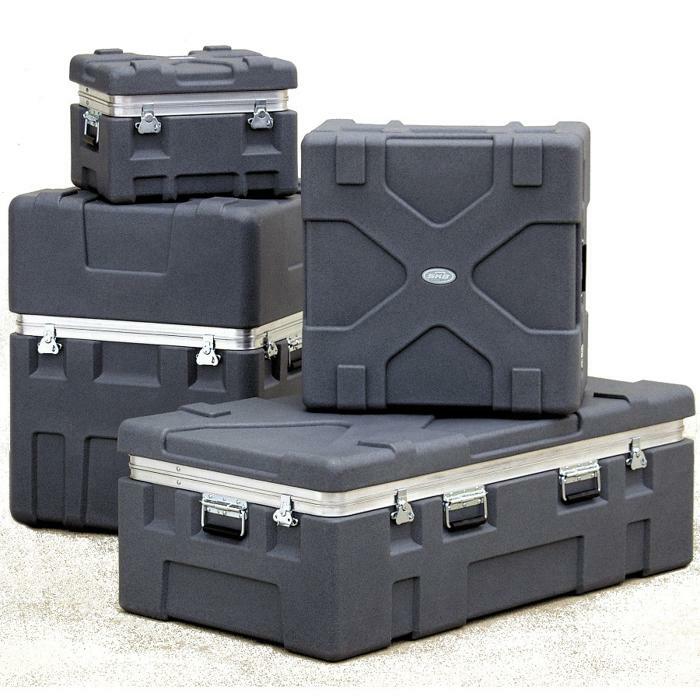 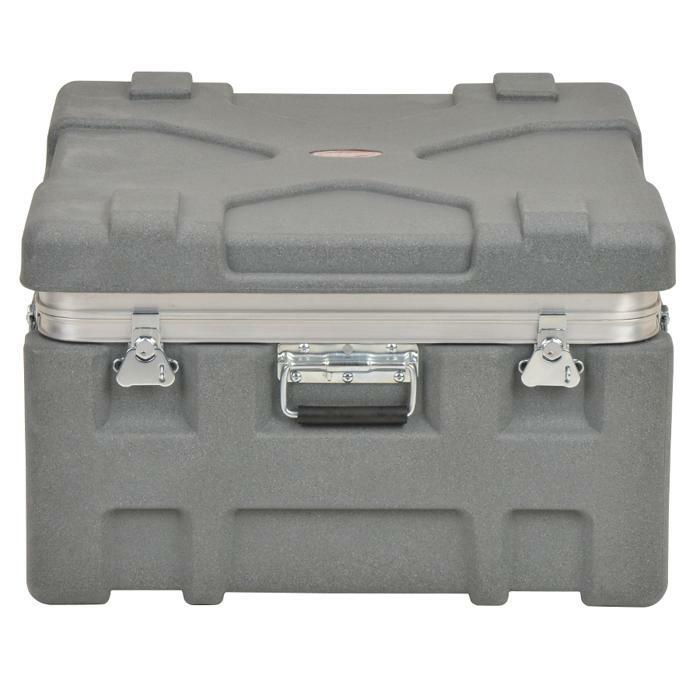 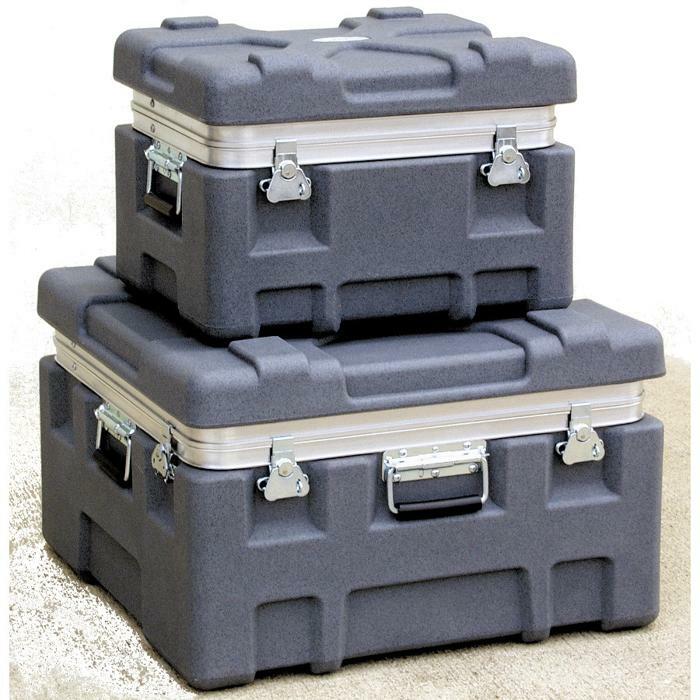 Models available include Tool Cases, Foot Lockers, Square Cases and the Truck Pack container.